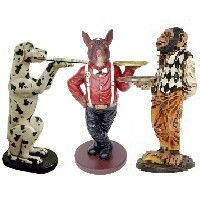 We offer a wide variety of butler statues, waiter statues, and butler animal statues. Our selection of butler statues are made from durable materials using cast resin mold mixed with fiberglass. They are hand painted to the highest detail by professional artisans whose skills have been passed down to them for generations. Among our butler animal statues you will find monkey butlers, dog butlers, crocodile butlers, frog butlers, pig butlers, shark butlers, and the list continues. Among our waiter statues you will find the Old Man Waiter, Old Woman Waiter, chef with tray, butler with tray, baker with tray, and the list continues. 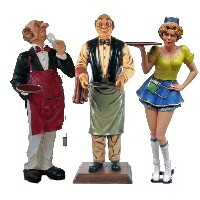 These butler statues look great in homes and commercial spaces alike. These will add character and excitement with in hotels and restaurant spaces. 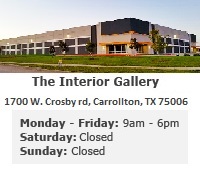 For homes, these look great in billiard and game rooms or kitchen spaces. Also, some of the featured butler statues have a matching statue with menu board to complete the set.